Jacuzzi Great Barrier Filter with Micro Ban fits all J-300 series tubs no matter year or model. 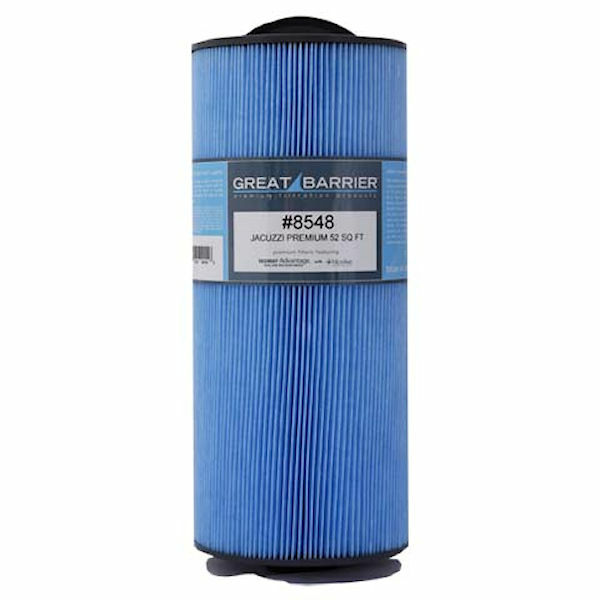 GREAT BARRIER PLEATS - High temperatures and the wet environment make an unprotected filter surface a target for the growth of bacteria. Great Barrier Pleats are made with genuine Reemay Advantage with Microban. Microban antimicrobial protection inhibits the growth of bacteria that can cause staining odors and degradation of the filter. The unique continuous antimicrobial cleaning action of Microban makes the spa filter easier to clean, keeps it fresher between cleanings and ensures filter life.